From a 4-H Clover Poster to . . .
Additionally, the 4-H StoreFront site also allows for the purchase and redemption of gift cards. These gift cards can only be purchased and redeemed on the 4-H StoreFront site. The gift cards are digital and are available in increments of $10, $25, $50, and $100. 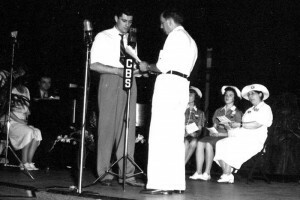 The National 4-H Supply Service was launched in 1925 by the National Committee on Boys’ and Girls’ Club Work as a central, non-profit source of supplies, furnishing members and leaders with the pins, labels and stickers they needed to foster a sense of belonging and public awareness of the 4-H movement. 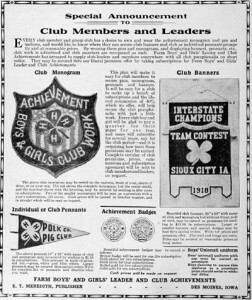 The Supply Service’s very first item was a color poster of the 4-H clover which had gained support through the efforts of Gertrude Warren and other extension leaders as the insignia of boys’ and girls’ club work.